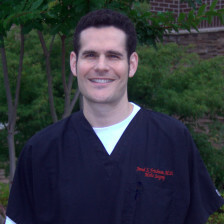 Dr. Jared S. Friedman is a native of Georgia, born and raised in Sandy Springs. After graduating from the Wharton School of Business at the University of Pennsylvania, he earned his doctorate from the Medical College of Georgia where he graduated AOA (Alpha Omega Alpha Honor Medical Society). He subsequently completed his Internship in Internal Medicine at the University of Virginia and his Residency in Dermatology at the University of North Carolina, Chapel Hill. He then completed his Mohs Micrographic, Advanced Reconstructive, & Dermatologic Surgery Fellowship with Dr. Donald J. Grande in Medford, Massachusetts where he was also a clinical instructor at Boston University. Dr. Friedman is a Fellow of the American College of Mohs Surgery and a Fellow of the American Academy of Dermatology. He is also a member of multiple organizations including the Alpha Omega Alpha Honor Medical Society, the American Society for Dermatologic Surgery, the Atlanta Dermatological Association, the Cobb County Medical Society, and the Medical Association of Georgia. In his spare time Dr. Friedman enjoys running, water & snow skiing, playing guitar, hiking and camping, and spending time with his family. Dr. Friedman and his wife have 3 children.